Chord Electronics are a British manufacturer of high-end audio products and we are proud to stock a selection of their products. Formed in 1989 Chord Electronics have been using new technology to create some of the planet’s finest hi-fi, and professional audio equipment. Chord Electronics products use cutting-edge technology and exceptional build quality to produce high performance products that last a long time. Since 1996, Chord’s collaboration with Robert Watts, a digital design genius with 30 years’ DAC technology development experience, has produced a number of advanced digital products that are unique in the market and break new ground. The DAC-64 was one such product and was universally recognised as one of the very best DAC’s in the market. Their knowledge in the field of Digital to Analogue converters has put them at the forefront of Streaming technology too. By investing heavily in high-end audio products Chord have the technology to engineer into more affordable solutions. 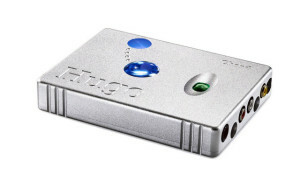 An example of this is the Qute EX DAC and the Hugo Headphone amplifier – both of which are more affordable products based on technologies found in the QBD-76 high end DAC. Chord make exceptionally high quality DACs, extremely fine amplifiers, streamers and some innovative compact products like the remarkable Hugo. We only currently stock a small range of Chord equipment but we have a good relationship with them and can obtain additional products for demonstration should you need them. Chord Electronics HUGO portable headphone amplifier come DAC come pre-amp. Come along and listen to Chord Electronics at Moorgate Acoustics.